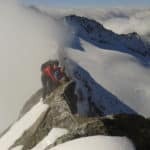 Gernot, an IFMGA mountain guide based in Austria, takes you on a 3-day traverse climbing Ankogel, Hochalmspitze and Säuleckin, in High Tauern National Park. At the heart of the High Tauern National Park, this 3-day alpine traverse takes you to the top of Ankogel, Hochalmspitze and Säuleck. The High Tauern is a mountain range that belongs to the Central Eastern Alps. 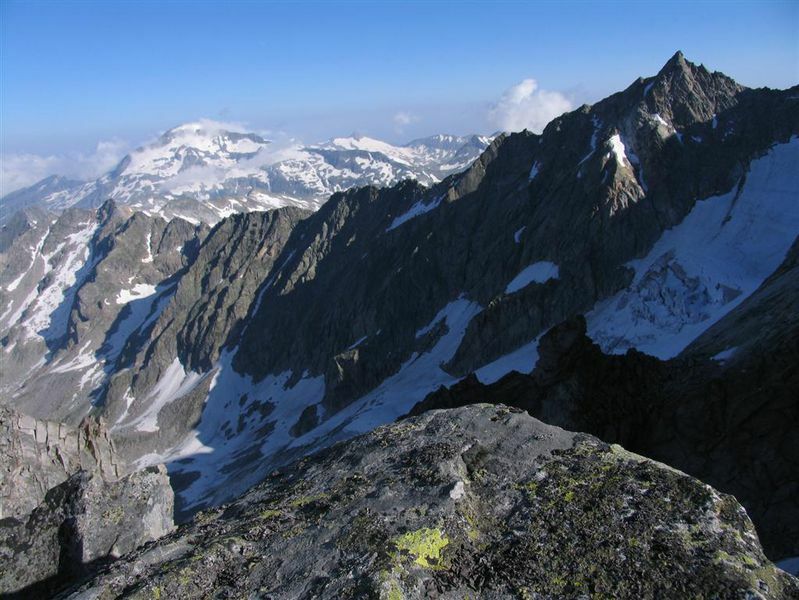 There, in a protected area with the same name, you can find some of the highest mountains in Austria. During this 3-day trip, you will enjoy remote pristine walks. I really like guiding here because there’s less people and beautiful landscapes. The first day, we’ll reach the top of Ankogel (3252 m). This is one of the most accessible peaks in this region, because there’s an aerial tramway that will take us up to 2600 m.
On the second day we’ll hike to the summit of Hochalmspitze (3360 m), which is considered one of the most beautiful mountains of the Eastern Alps. 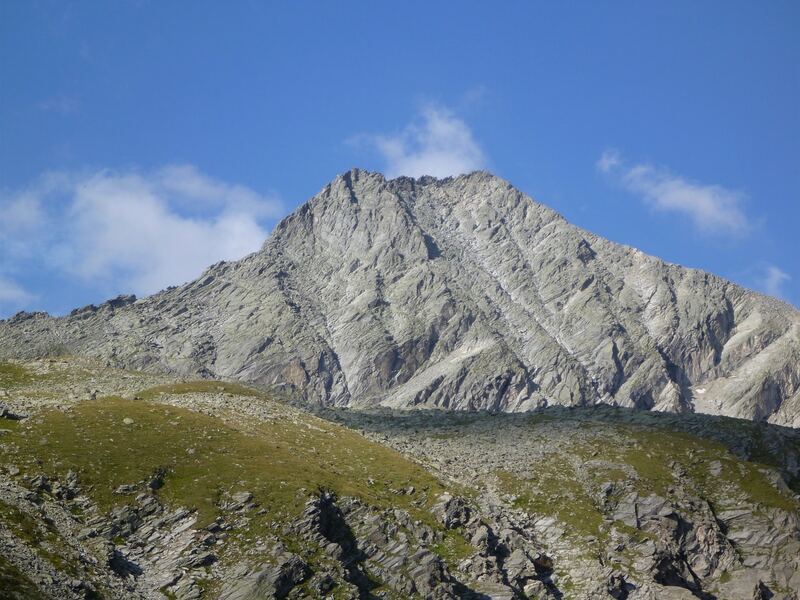 This peak is often called “Tauern Queen”. 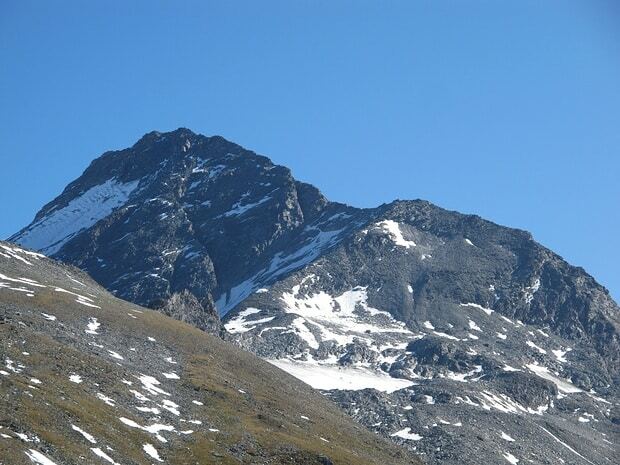 Its counterpart (the “Tauern King”) is the highest mountain in the country, the Grossglockner. Besides, that day we’ll hike along the side moraine of the Großelendkees glacier. Finally, on the last day, we’ll get to the top of Saeuleck (3086 m) and then go back to the town of Mallnitz, where our trip will end. For further details, you can find the complete itinerary for this trip below this description. Are you planning a trip to Austria? Please contact me and let’s organize a hiking traverse in this beautiful mountains. 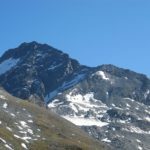 Day 1: Ankogel (3096 m) / Osnabrücker hut (2020 m). 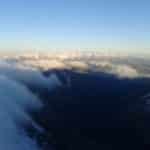 The Ankogel tram will take you up to 2600 m. From the top of the tram station we will hike along the Tauern high trail to the Radeck notch. From the notch we hike over a pathless terrain to the small Ankogel (3096 m). The terrain gets steeper and steeper along the exposed ridge (Difficulty I) to the summit, which you will reach short roped by your guide! After crossing the summit we’ll hike on the Kleinelendkees and then descend on the Zwischenelend ridge. 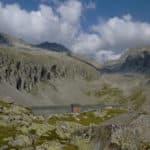 The descent will take us past lake Schwarzhorn to the Fallbach waterfall. After that, we will hike to the Osnabrücker hut (2020m). Approx. hike length: 6 – 7 Std. Day two brings us to the most spectacular part of the tour. 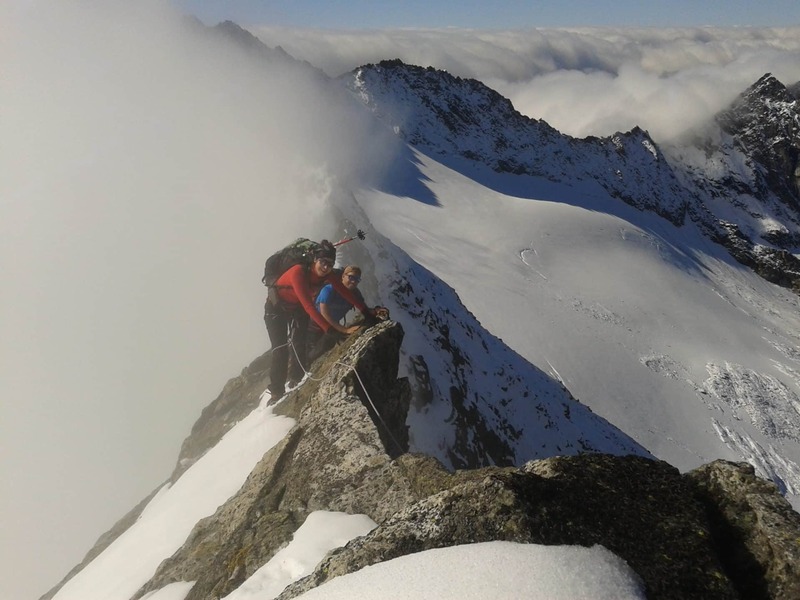 We hike to the peak of the “Tauernkönigin” (Queen of the High Tauern Range), the Hochalmspitze at 3360m. 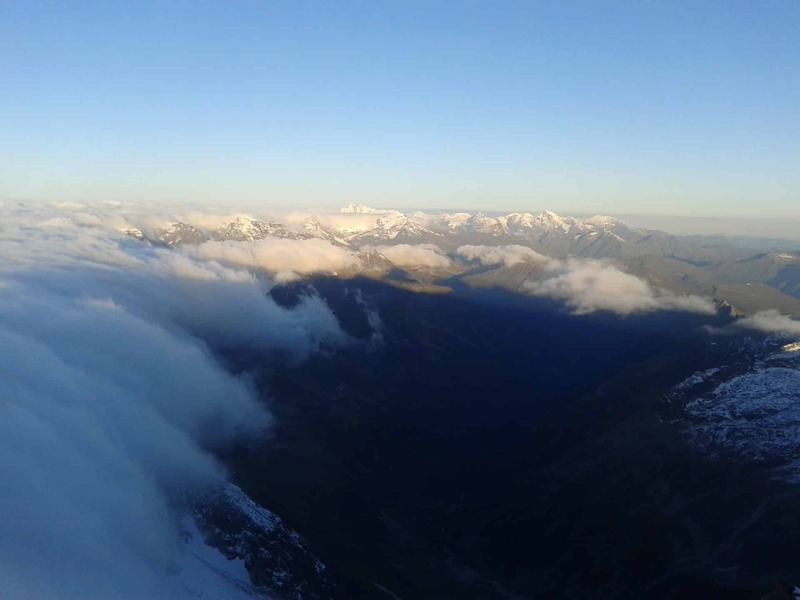 This mountain is considered one of the most beautiful mountains of the Eastern Alps, matching the majesty of the “Tauernkönig” (king) the Gr.Glockner. Towering over four valleys and surrounded by four glaciers, the mountain is made up of massive buttresses and granite plates. At dawn we hike along the side moraine of the Großelendkees to the edge of the glacier. 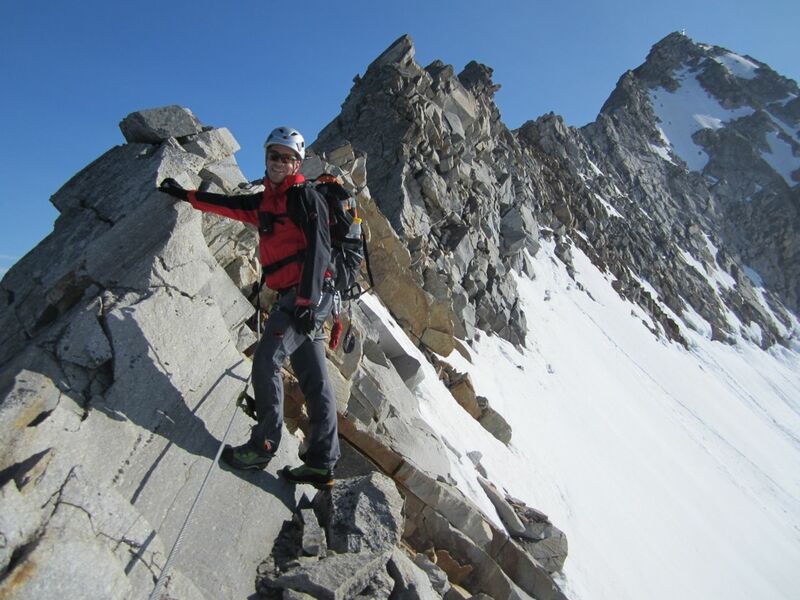 We climb the glacier to the glacier basin and the through a steep snow filled gap to the Preimls embrasure (2953m). Later we traverse the high alpine pasture to the edge of the back block, over ever steepening terrain to the peak at 3360 m.
“Steinernen Mandl´n”. This part of the descent is secured with fixed steel ropes. From there we reach the Trippkees, which we will traverse to the bottom. The hike ends along the Schwarzenburger trail at the Gießener hut (2218 m). Approx. hike length: 7-9 Std. We start the day with a worthwhile hike along the Hessen Trail to the Malnitz Ridge. From there, we head North along the foot of the Gr. 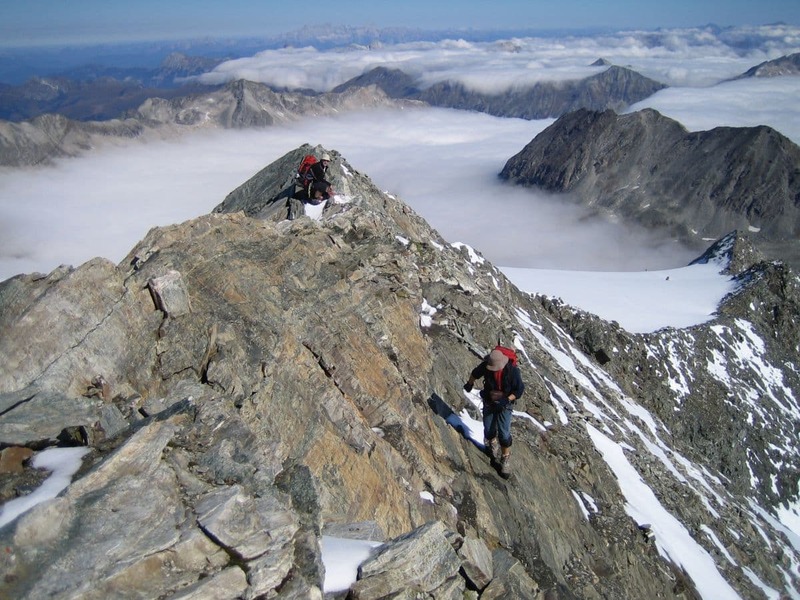 Gößspitze traversing easy rock terrain over the south ridge of the Säuleck (3086m). The way back leads us to the Grazer Schartl along a marked trail to the Arthur v. Schmid house. After a short rest we descend through Dösen valleyl down to Mallnitz, where the three-day tour ends. - Gear rental is included in the price. I’m from Austria (Europe) and live in the Gastein-Valley next to Salzburg. 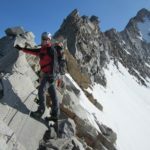 Since 1996 I’m a UIAGM / IVBV professional mountain guide. In 2000 I graduated as a ski instructor. My last 20 years I was working as mountain guide in all different parts of the Alps, in all seasons. In winter I work for different ski schools as ski instructor in Austria and Switzerland. Since a couple of years i am guiding as well in New Zealand. 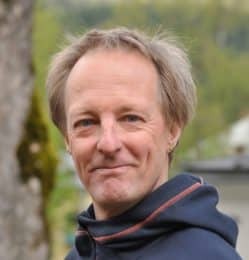 Furthermore I`m working in several education teams like the Austrian Mountain Guide Association as a coach, and also in the Austrian Skiing Instructor Association, specialized for alpine courses. I was member of two Himalaya expeditions in 1997 and 2004. I have been climbing on Cho Oyu and Broad Peak . My big passion is rock and ice climbing. exciting pillar. He gave me lots of good tips to help me improve my technique. I would definitely recommend the Bad Gastein area for ice climbing.